Previous Video Beach Birds are Silly! Watching a child experience something for the first time is always a thrill, but there’s something especially endearing about baby Sloan. 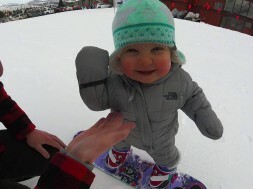 Here she’s taking on snowboarding for the first time with the help of her parents. previous Beach Birds are Silly!